Once again, by being involved in the oil business, I had to come to a place where I never imagined myself: Luanda, Angola. 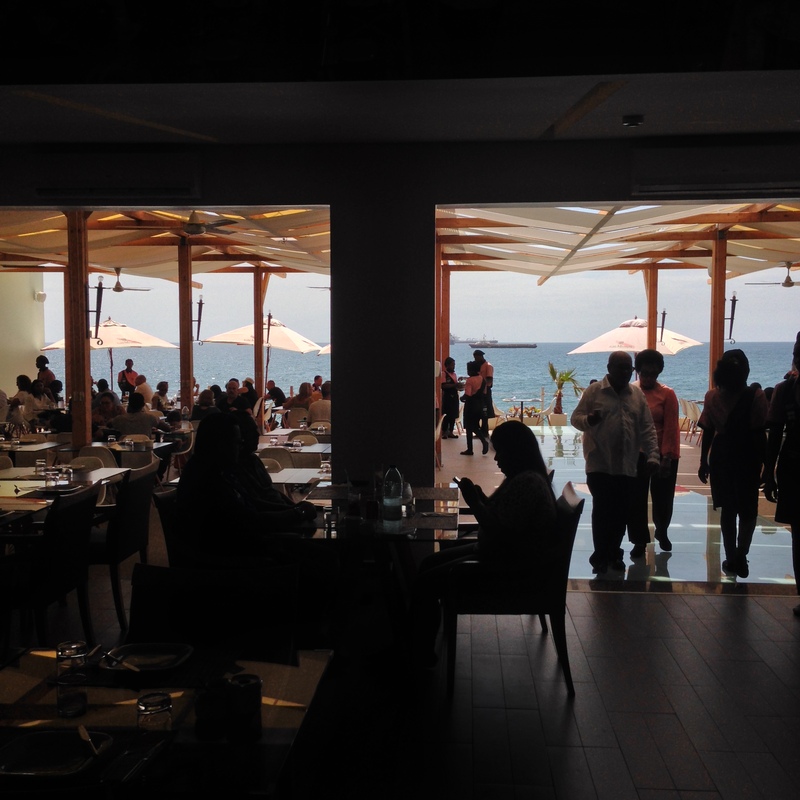 Even though Luanda is a peculiar city full of traffic jams and sometimes unsafe, you can find really charming and delightful restaurants to enjoy a remarkable evening and even to watch the sunset close to the beach. 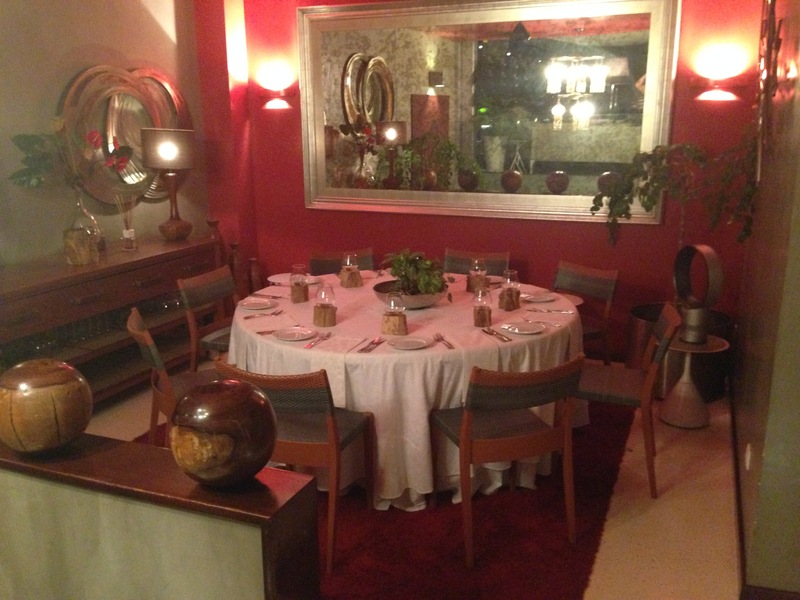 We went there for dinner and what impressed me most was the mix decoration between rustic and elegant. We were a group of 6 and they gave us the option to have a private room with an astonishing dining table, especially since we were the only ones in the restaurant on a Saturday night, which make me thought about prices and/or quality. What disappointed me most was the lack of white wine on the menu, even though the red wine options were really decent. They started bringing assorted appetizers, some of them really good, but I don’t usually like when you get that amount of appetizers without ordering, and of course paying for them. For main course they give you the option of ordering more appetizers or choosing some of the few options they have in the menu. I ordered the Bife a Raizes, it was good but a little bit cold. 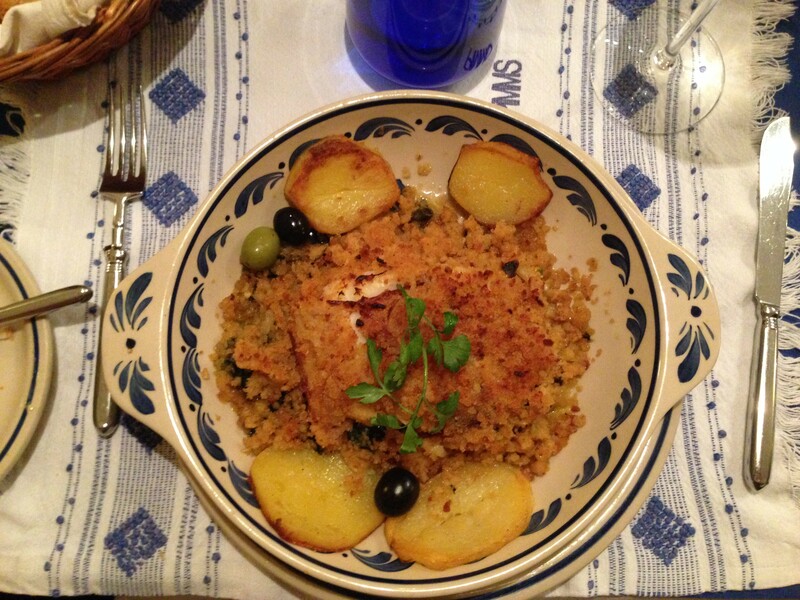 Bacalhau looked better. Will I go back? Why not and maybe I will stop by the decoration shop they have downstairs. Address: Rua MAjor Kanhangulo Nº3 A-B. Luanda. Even though it is not at the beach and the price is a little high, the Portuguese environment appreciated in its 2 different salons, the wine´s variety and the nice service is totally worth it. My friend María got the winning dish of the group, the White Grouper Tenderloin with green asparagus risotto, spectacular, and the whole gang agreed with a pleasant “Wow!” that the Banana cake was out of the world. I would recommend going at least once to this restaurant. 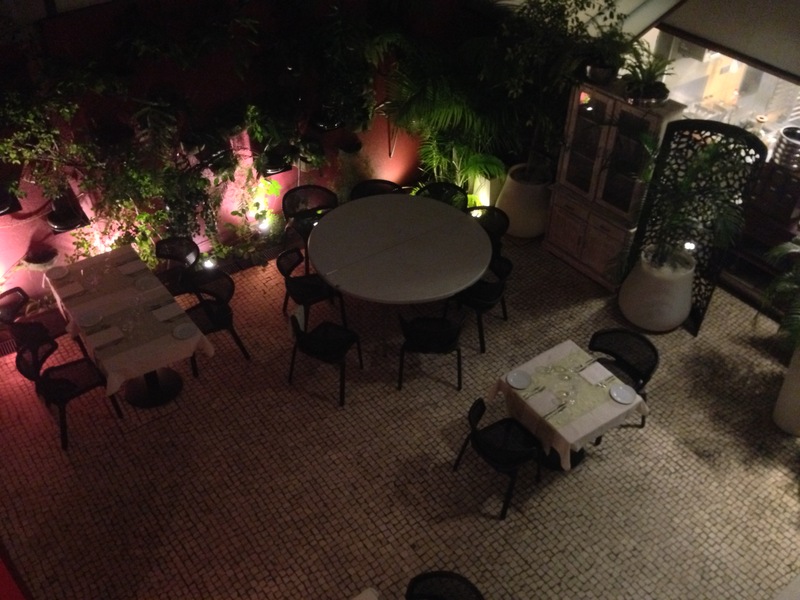 It´s a beautiful 2 floors house, with lots of open spaces delicately decorated and full of plants. 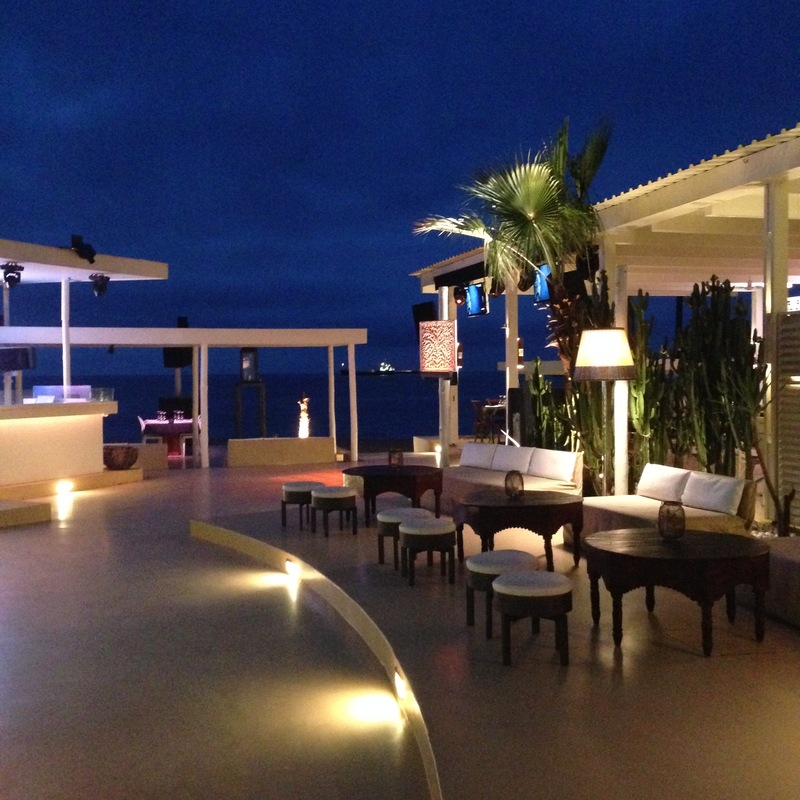 They have nice areas to chill out and have a few cocktails of their extensive drinks menu before eating dinner. 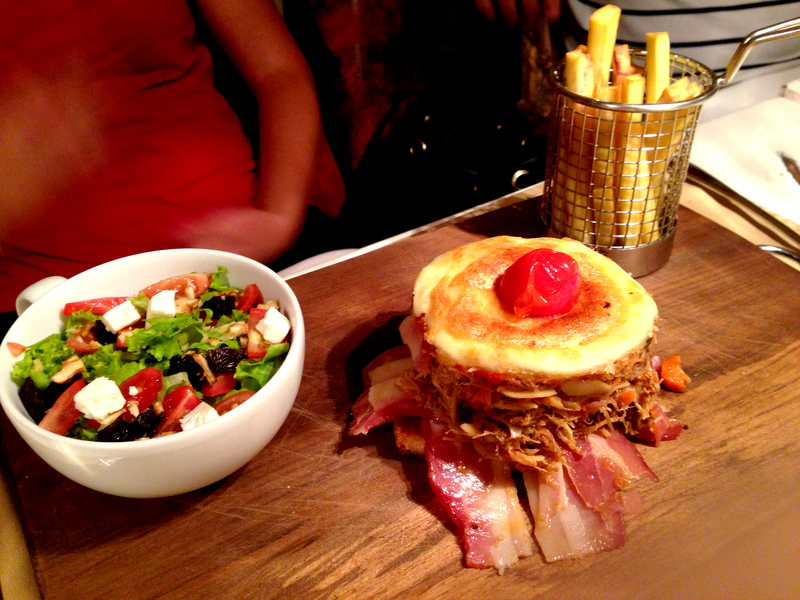 Service was excellent and it is probably the only restaurant of the list that serves small portions. I had the Perna de Pato Confit (Confit Duck leg) and my friend ordered Bife a Nikki´s House, both of them delicious as well as the Maçã Assada (Baked Apple) we share for dessert. I think it is a good restaurant to go at least once. I´m not sure about going back, the prices are a high, especially for the serving size. Address: Rua Dr. José Pereira do Nascimento, n°30-32. Luanda. If you are into seafood, this is your place. 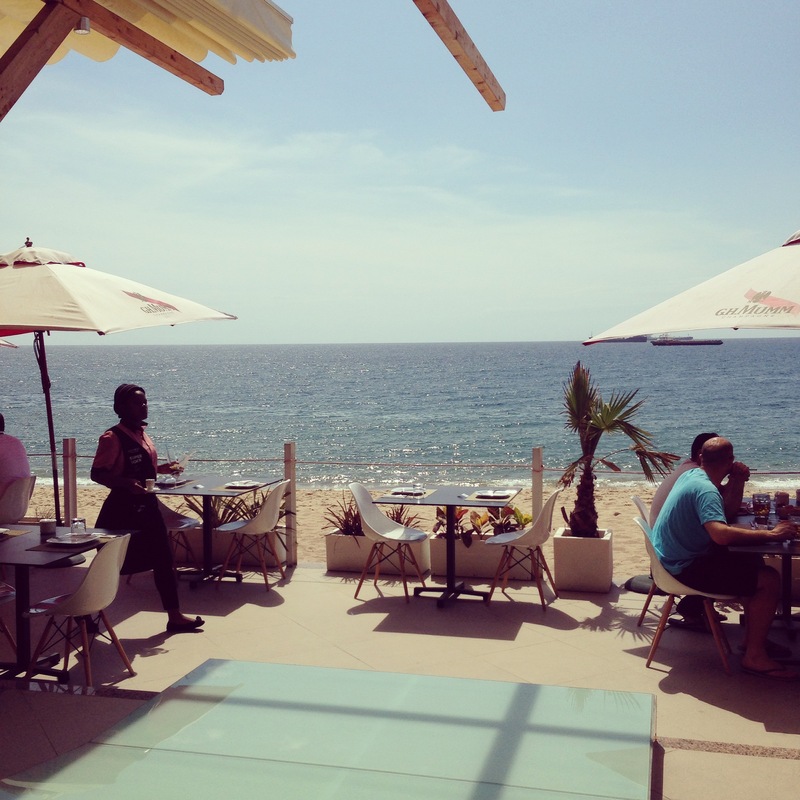 It is an open restaurant in front of the beach with lots of fresh fishes and seafood. They actually bring to the table a tray with all the fresh options for you to decide which one you want. 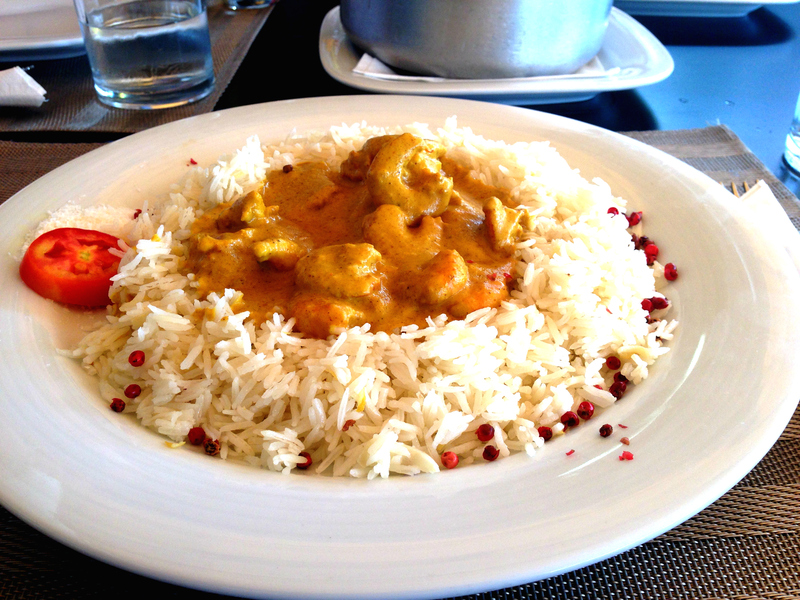 They also have some different options in the menu, like the Curry Shrimps I ordered, delicious. This was not the first time I was in this restaurant, so you see how I pretty like it. 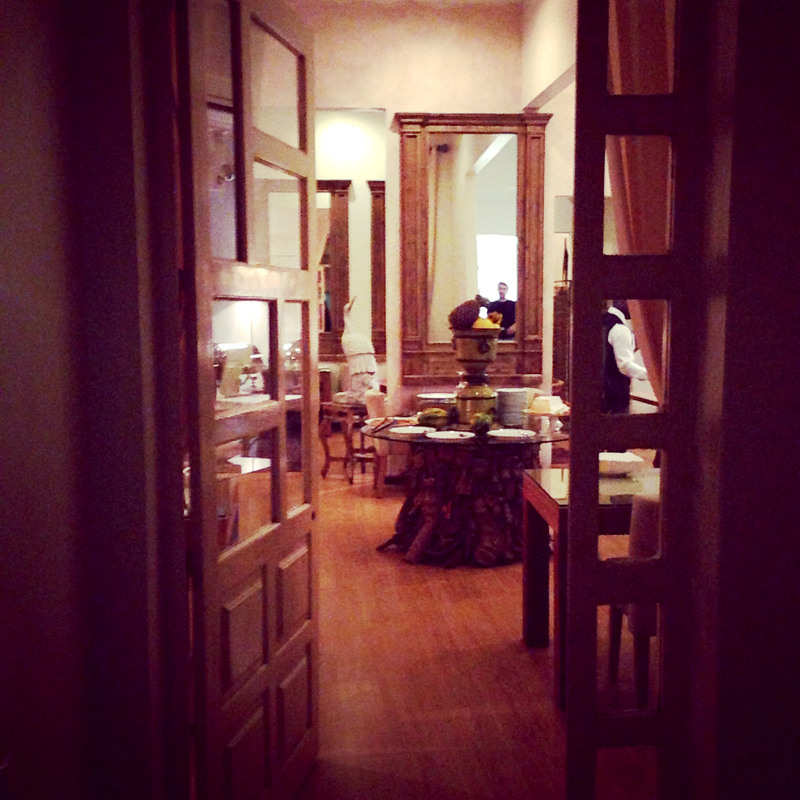 This tea salon also has a very delightful menu for lunch/dinner and a cute little shop inside. Even though the service was extremely slow, the food was totally worth it (also the price, the cheapest of the list). For appetizers they put us sort of a cod pie with olive pate. Delicious. For main course, Diana ordered Toca de Pato na Concha, winning the best choice of the night with this some kind of duck burger with salad and sweet fried potatoes. 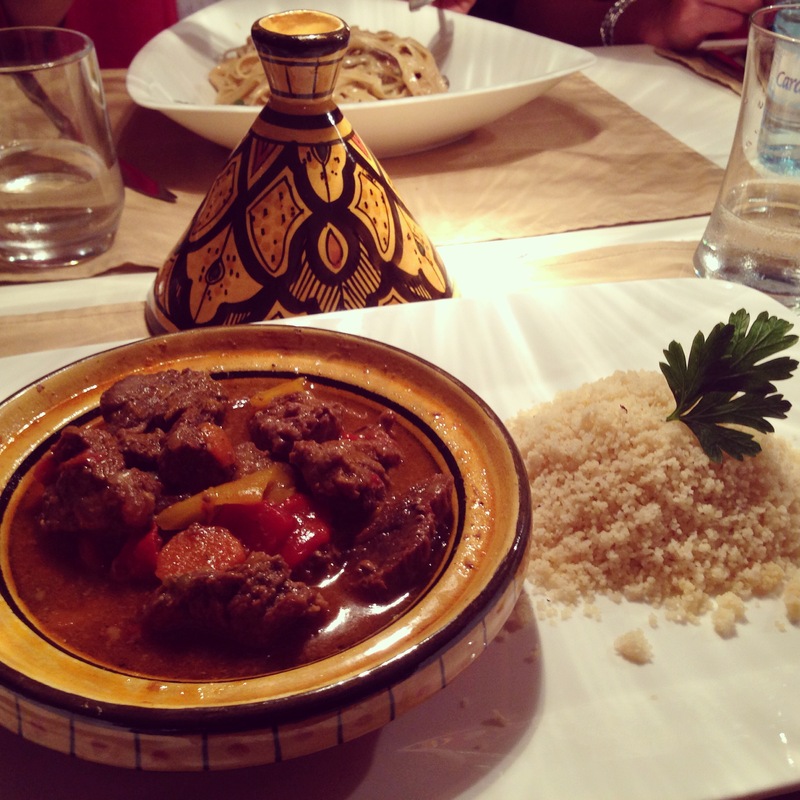 I believe I had the second place of the night with the Tanjine Marroquina de Vitela, a typical Moroccan cous cous. By the time of the dessert we were already full, but I am sure they are all pretty good as the rest of the food in Xperience. And that´s another reason to go back to this restaurant. PD: don’t miss the bathroom floor, I loved it. Address: Rua Rey Katyavala n° 42. Luanda. 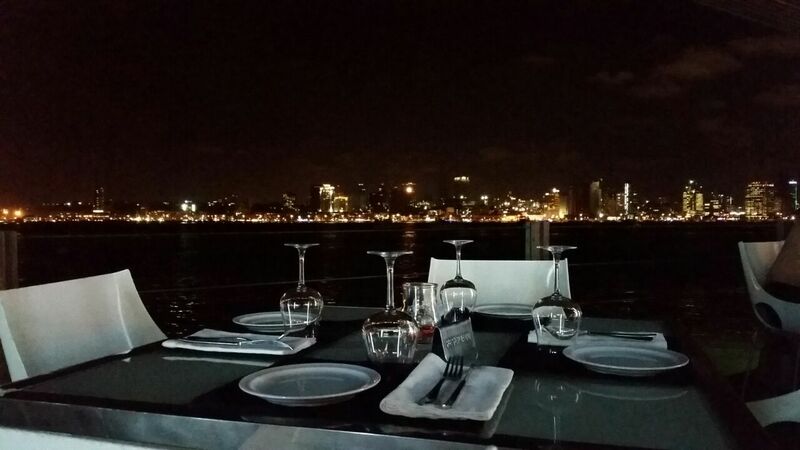 It is in Ilha, but facing the city, giving us a nice view of the city and its skyline from an outdoor restaurant. 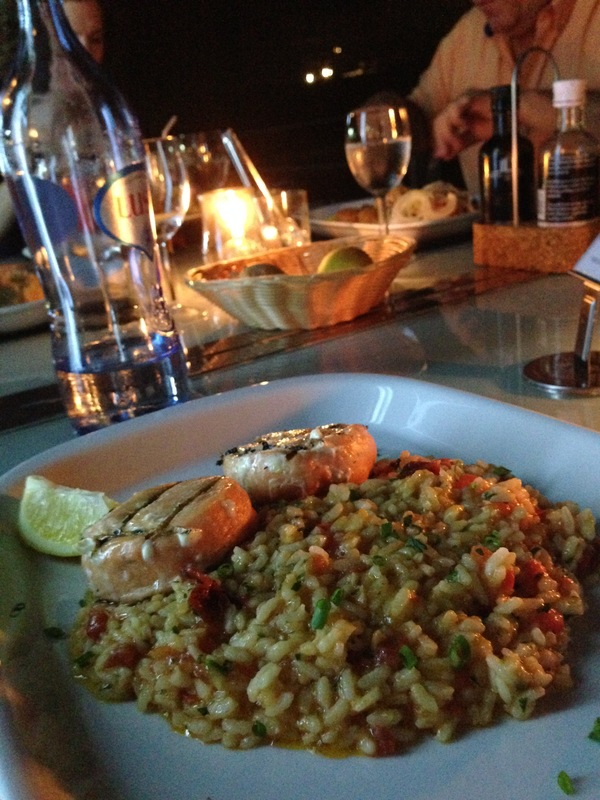 Service can improve a little bit but the main courses and menu options are really good. Careful, the portion sizes are big. 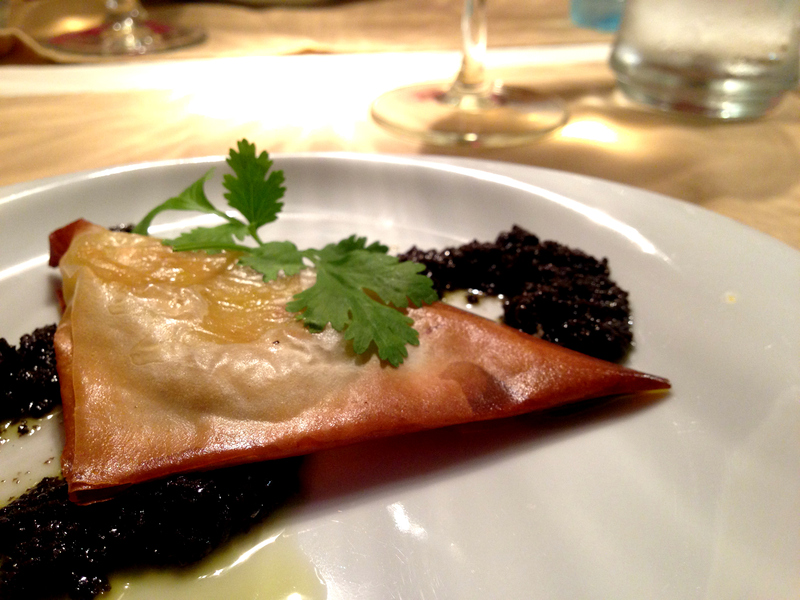 In the group, we ordered the Salmãoa Knut (in the picture), Salmãoa Valkiria (salmon with passion fruit), Bacalhau a Portuguesa and Risotto a Cais. All of them amazing and recommended. Unquestionably, I would go back to this restaurant. Address: Av. Murtala Mohamed (Casa do Desportista), Ilha do Cabo, Luanda. 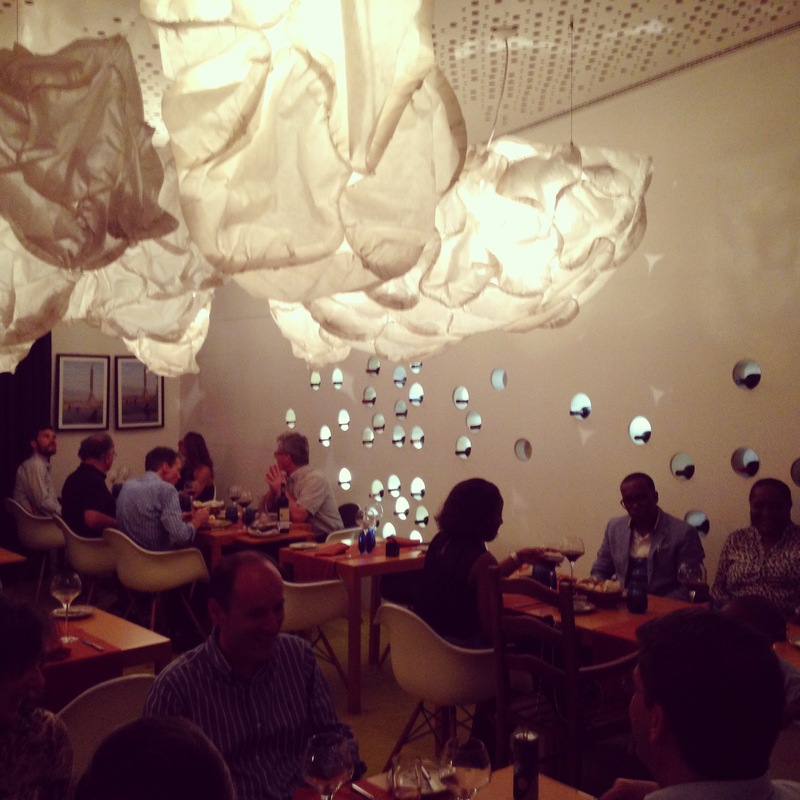 In terms of music and relaxing environment, Chill out is for sure the best one in Luanda. 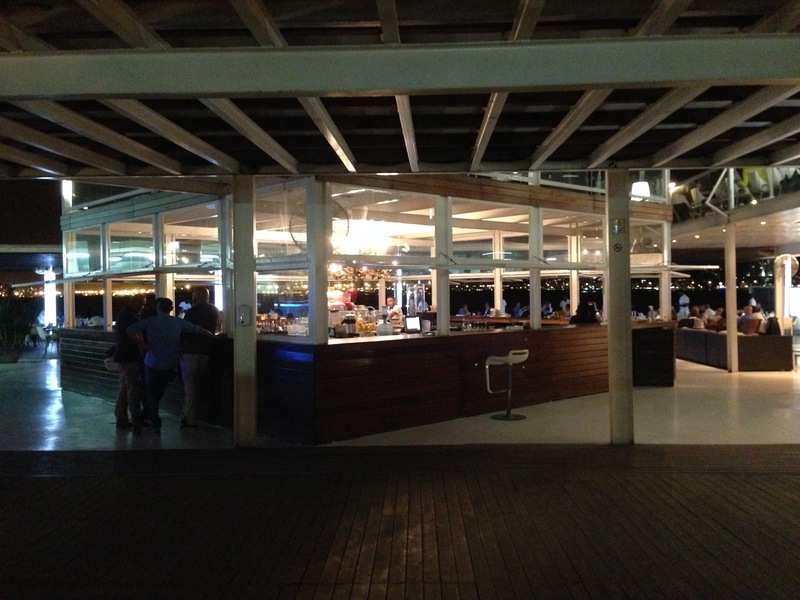 Its tables face the beach (located on the Ilha); service is good but depending on the crowd it could be a little slow, it has chill out areas to have a few drinks and watch the sunset, and also food is remarkable. 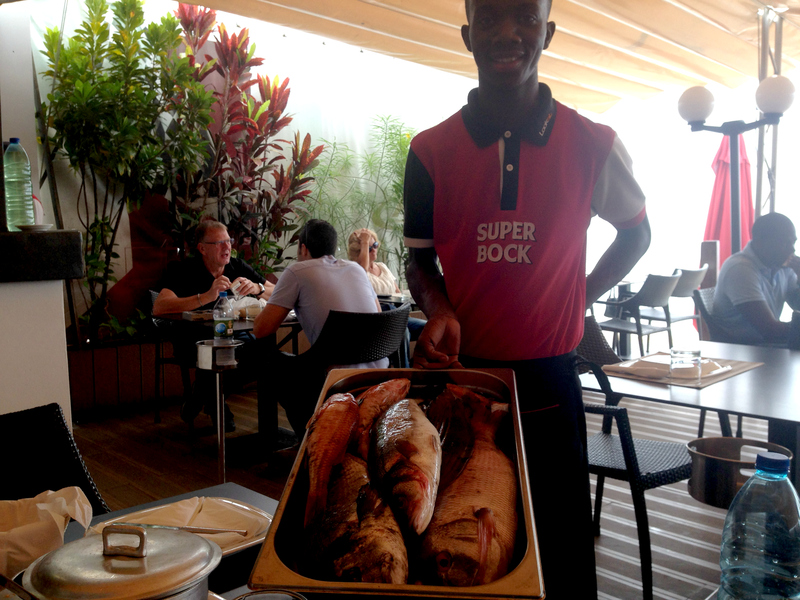 I had the Stone bass loin with fried corn and shrimp in “bulhão pato” broth, sensational. 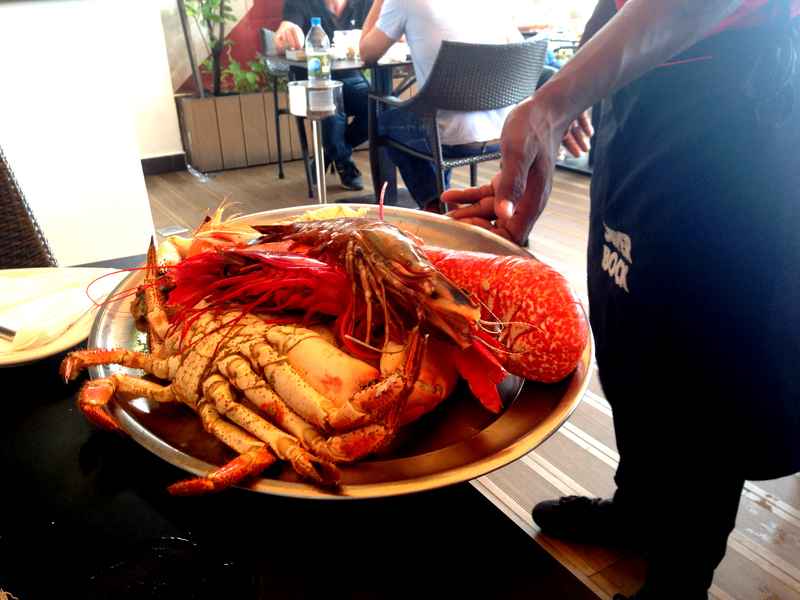 But my friends ordered carril de langosta (curry lobster) and I´m pretty sure this is their best dish. On weekends, it gets really crowded and party starts after dinner hours (or during) with excellent Angolan music. …and I already went back to this restaurant. Address: Av. Murtala Mohamed, Ilha do Cabo, Luanda. My favorite to have a tasty piece of steak. 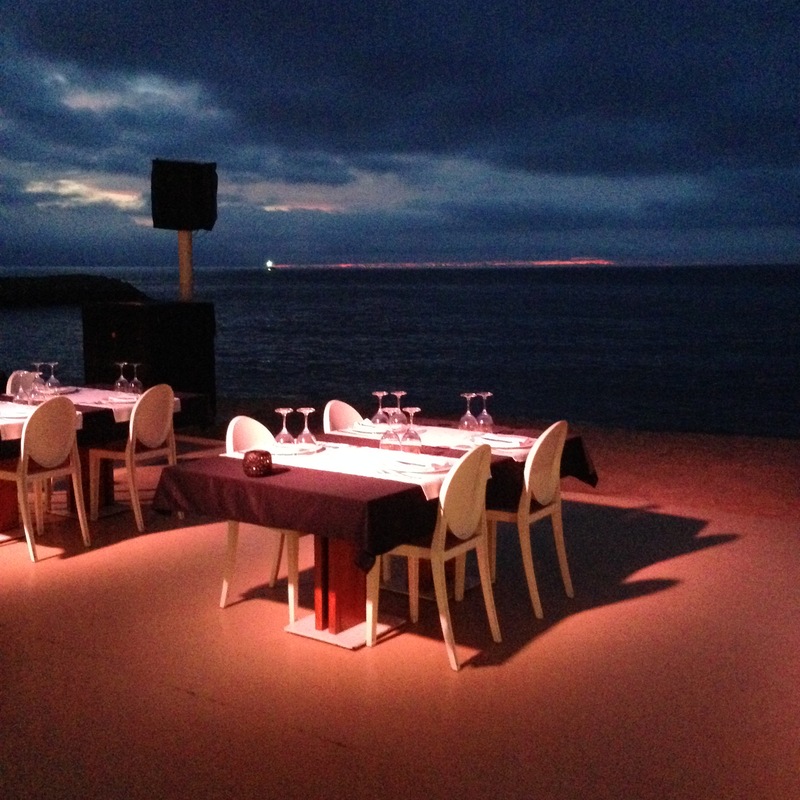 It´s an outdoor restaurant specialized in meat also facing Ilha beach. I ordered the Ojo de Bife: best choice ever, it was juicy, tasty and with the perfect size (am I talking about food?). Also, if you a miss a piece of Spain, this is the right spot to have some jamón serrano. While I was eating, I think I counted more waiters than tables, so I can say the service is good, even though it doesn´t always depend on the amount of waiters. The only thing my group complained was that the French fries were actually chips. If you are not a meat lover, and you are only going to accompany a carnivore, be careful, there aren´t so many non-meat options. I am so looking forward to go back to Lookal Assador. Address: Av. Murtala Mohamed, Nº15, Ilha do Cabo, Luanda. 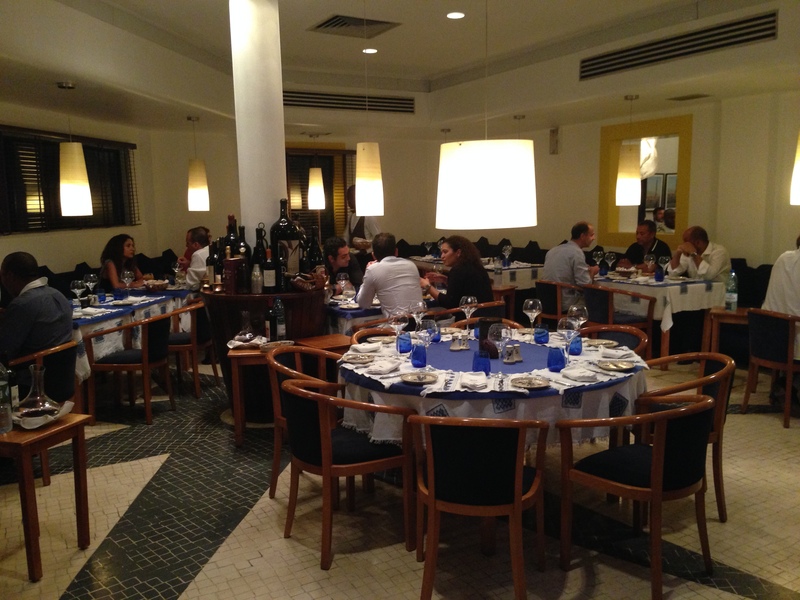 Last and best, this Italian restaurant is the best in town and also my favorite in Luanda. 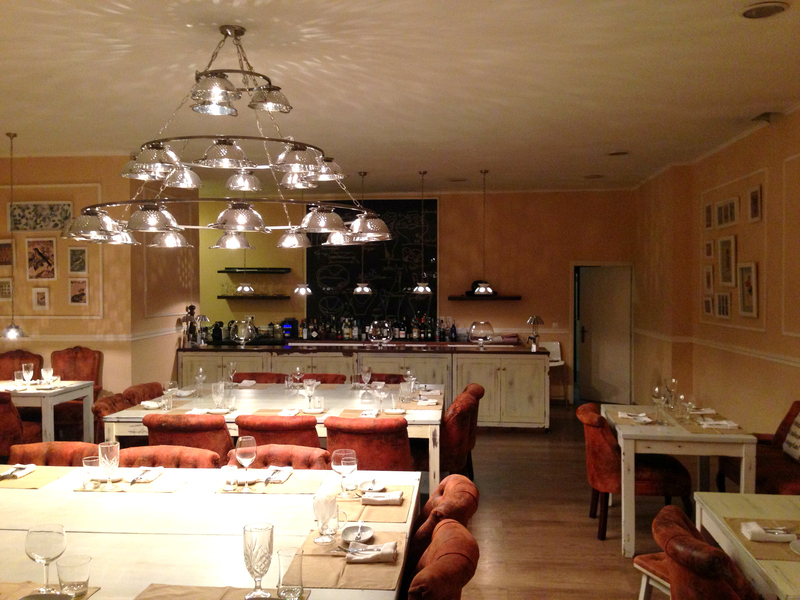 It´s inside the Hotel Epic Sana, has an impressive wine cellar and a remarkable service. 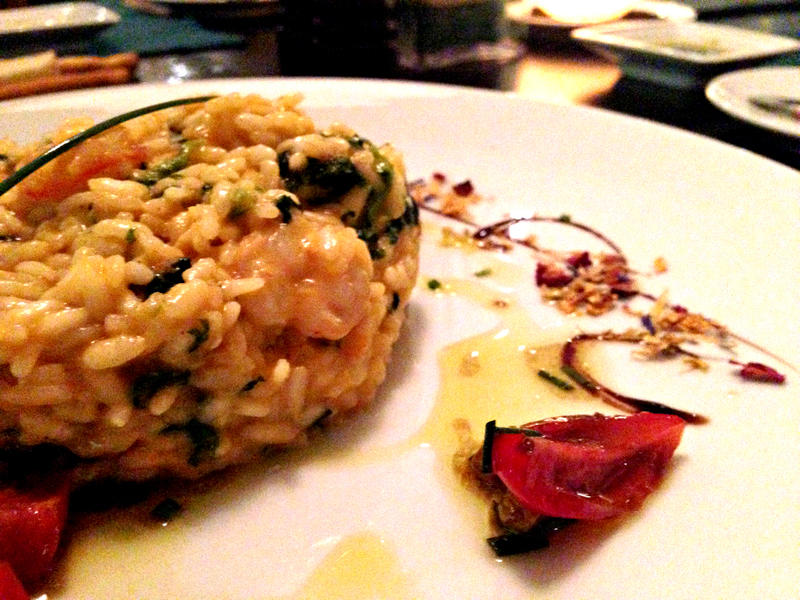 I ordered the lobster and prawn risotto and the table next to us ordered pasta alla ruota, which looked marvelous. If you haven´t try this pasta yet, you really need to find the best Italian restaurant in your town and try it! It´s a piece of heaven in your mouth. 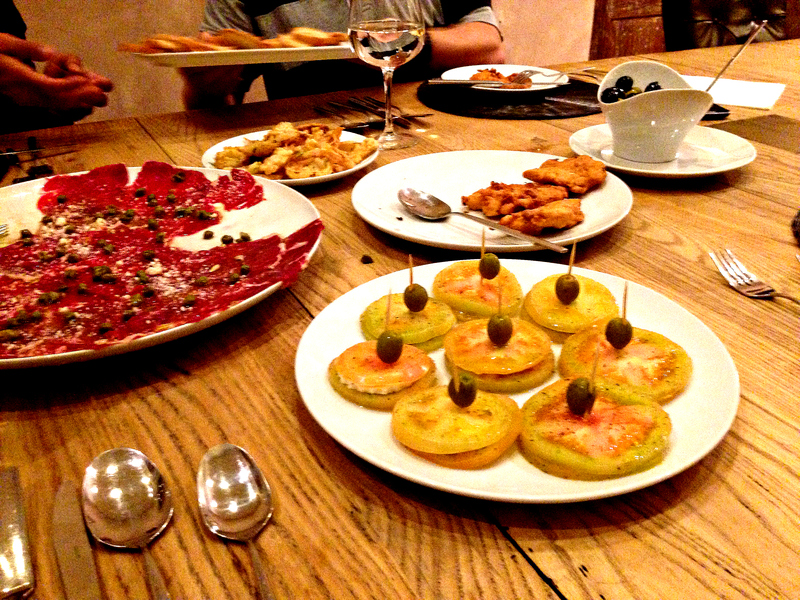 The couvert included focaccia with olive oil and balsamic vinegar, a variety of cheeses, mixed olives and grissini (Italian bread sticks). More than enough so you do not need to order an appetizer. Desserts are also over the top. 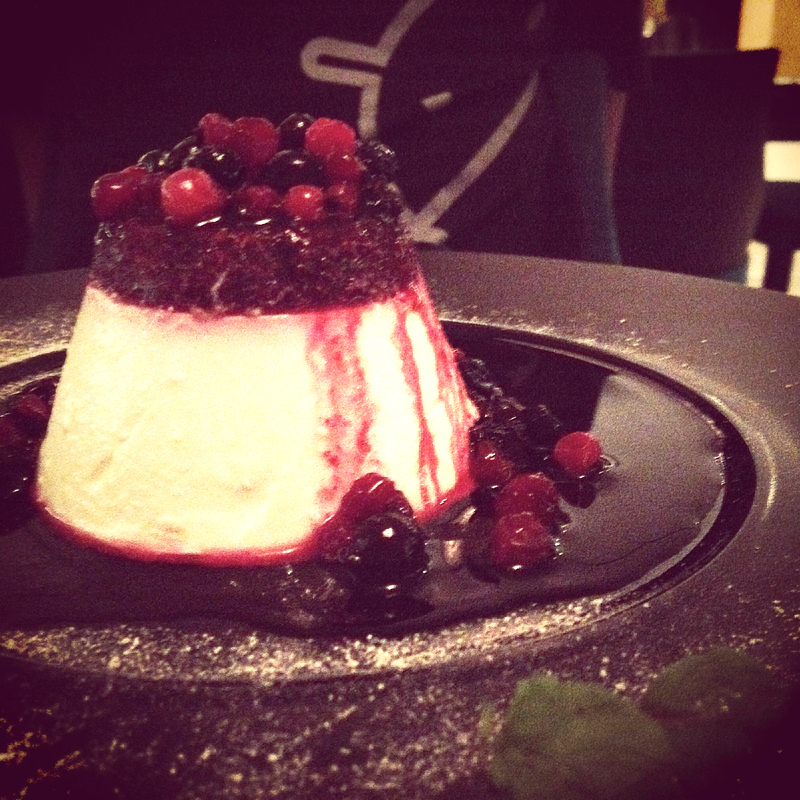 My friend tried the panna cotta and I believe the picture doesn’t need a description. No doubt about coming back to this restaurant, even though it´s one of the most expensive of the list, together with Nikki´s House. A plus: they take Visa and MasterCard, not common at all in Luanda. Address: Piso 1, R. da Missão, Luanda. 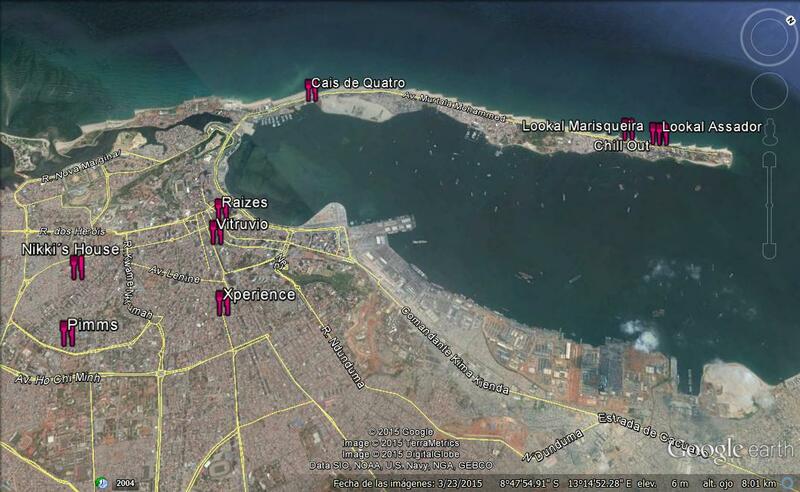 I hope you take the most out of your time in Luanda and visit all of these places. 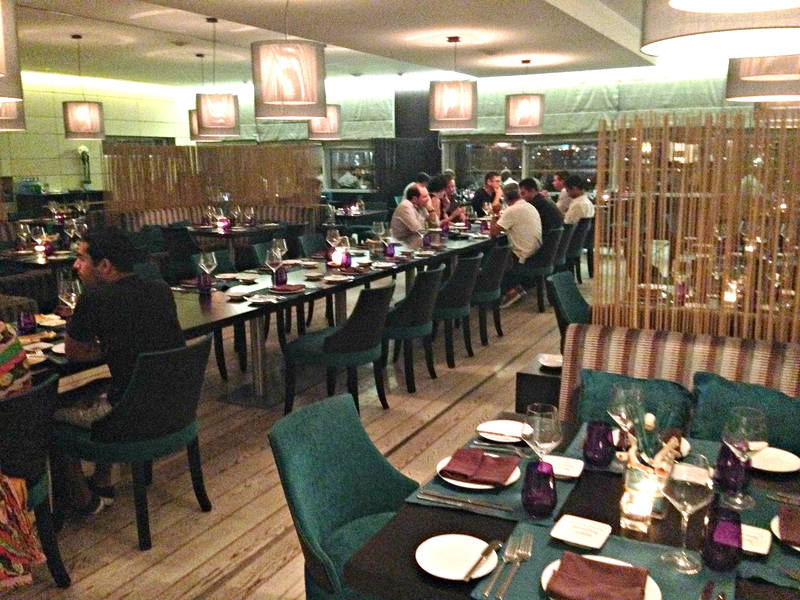 Asia lounge: Nice sushi, very slow service. Tina: Cozy place, nice lunch menu for working days. Tia Maria: Cute. Open Space. Good food, and live music on Fridays night. Shogun: Good to have some drinks. It´s in Ilha, and have access to a private part of the beach where you can rent chairs. Origami: In front of Epic Sana Hotel pool. Nice view of the bay and good food. Enjoy the city and share with us your opinion about these restaurants. Simpatiquisimo y muy profesional tu Blog Vero! Me encanto revisarlo, un abrazo!